Hurricane ridge is a mountainous area 17 miles south of Port Angeles, WA. Skiing, snowboarding, sledding, and snowshoeing are available in the winter months. It’s is a great destination for hiking, biking, and sight-seeing throughout the rest of the year. Hurricane Ridge is a part of the Olympic National Park. For more information see the ONP informational brochure & map. See the Hurricane Ridge webcams for current weather. 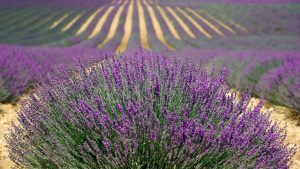 The Sequim Lavender Festival features activities and regional attractions for families and visitors of all ages. A street fair featuring craft booths and food vendors runs throughout the weekend along with lavender farm tours and a weekend of live music performances by numerous regional artists. The Lavender festival occurs every year the third weekend of July. The Olympic Game Farm is a walk-thru and drive thru animal park featuring over 200 animals. It is located just 1 mile from Clark’s Chambers Bed & Breakfast. 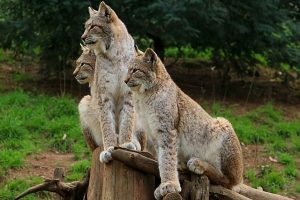 They provide visitors an opportunity to get face to face and experience wildlife close-up. Experience friendly llamas eating bread from your hand, giant bears that stand and wave, and buffalo and elk peacefully grazing in the pastures. For more information see their admissions and schedule. 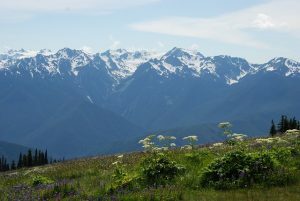 Stretching from the Pacific Ocean in the west, through temperate rain forests and lakes inland, and up to the peaks of Mount Olympus and Mount Deception in the east, the Olympic National Park has it all! With it’s wide range of precipitation and elevation, you will find an incredible variety of activities and adventures throughout the Olympics. 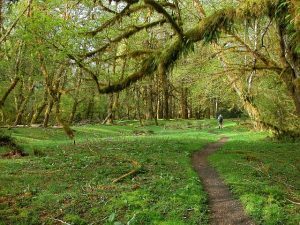 Plan your adventure on the Olympic Peninsula! 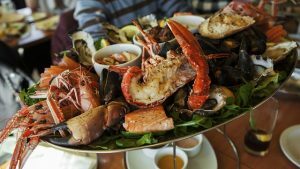 Also known as Crabfest, the Dungeness Crab and Seafood Festival is one of the most acclaimed food festivals in the country! The event is centered around the aquaculture and maritime history and traditions of the Olympic Peninsula. The 2017 festival will run October 6th thru 8th and feature food, art, music, Native American activities, and children’s events. The event is located on the Port Angeles waterfront. 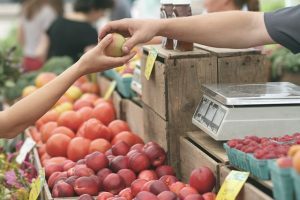 Consisting of over 40 street vendors the Sequim Farmers Market includes farmers, artisans, food processors, food vendors, and live music! The market is at the Civic Center Plaza on Sequim Ave. in front of City Hall and is open every Saturday from 9 to 3. The season calendar lasts from May through October. We invite you to come stay with us and enjoy the many places and activities Sequim, WA and the Olympic Peninsula have to offer. Country walks – country lanes, Dungeness River, Dungeness Bay environs. Fishing/Kayaking/Boating/Windsurfing. The Dungeness Bay is a short 1/2 mile away, small boat launches are also nearby. The Dungeness Recreational Park – The longest natural sand spit in the world: Home to the new Dungeness Lighthouse and thousands of migrating water fowl, a hiker and bird watchers paradise. The Cedars at Dungeness golf course. The Sunland Golf and Country Club (open to the public on weekends). Watch TV in the parlor while drinking coffee, tea or juice and enjoying home baked goodies. Or take it easy on the gazebo! For more information about things to do in Sequim check out Your Guide to Sequim, WA.